Baclofen is a skeletal muscle relaxant. 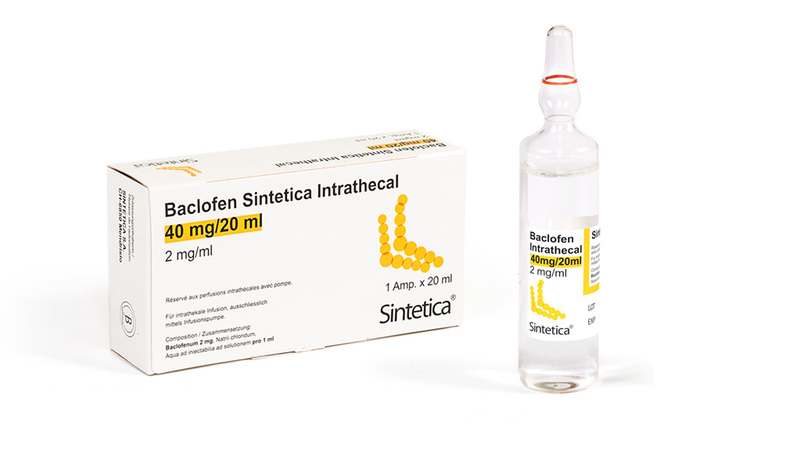 Baclofen Sintetica® for intrathecal use is indicated in patients with severe chronic spasticity originating from trauma, multiple sclerosis or other spinal cord disorders unresponsive to oral baclofen or other orally administered antispastic agents. It inhibits the transmission of both monosynaptic and polysynaptic reflex at the spinal cord level. It improves mobility and reduces painful spasms without altering respiration and the transmission of neuromuscular stimulus. Baclofen Sintetica® is administered via intrathecal pump implanted into the body.